The first cohort of our program brought together eight civil society and media organizations in Kosovo. Our implementation focused on strengthening their capacities to advocate for increased government transparency and accountability using open data. Our program produced eight new data-first projects by some of the leading civil society voices that help build a more informed public and keep public institutions in check. 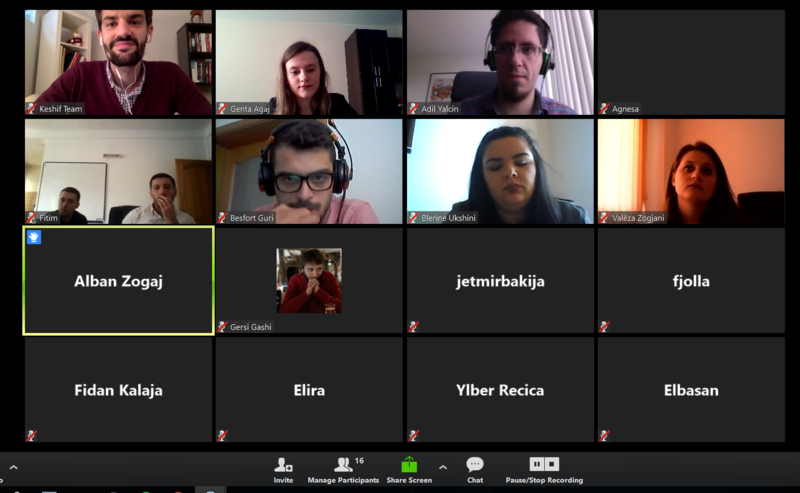 We invite you to check out Kosovo Cohort participants' profiles and results! Our Kosovo Cohort #1 was made possible through a partnership with the U.S. Department of State through Tech Camp Kosovo, a project implemented the Bureau of International Information Programs (BIIP), and the U.S. Embassy, Pristina in partnership with FLOSSK. We have designed the Building Data Capacity program to equip organizations with the technology and skills to use data to drive decisions, improve program design, enhance service delivery, and strengthen their public outreach and advocacy efforts. Learn more. Keshif is an intuitive online platform for rapid data visualization, analytics, and discovery for all, with or without data analytics experience. Our products and services bridge the world of data science & tech to the democracy & governance field. Learn more.